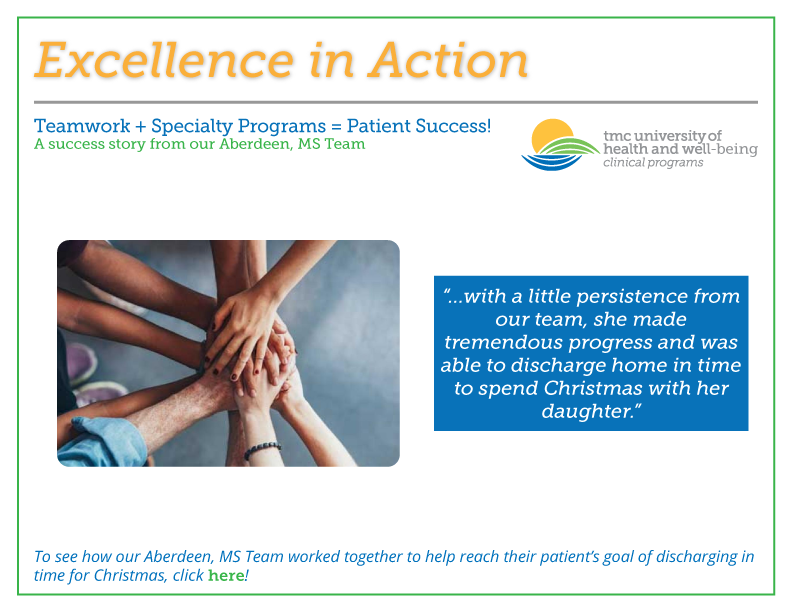 Excellence in Action - Teamwork + Specialty Programs = Patient Success! Excellence in Action! – Teamwork + Specialty Programs = Patient Success!